Since contact lenses first became popular, they have helped to improve the vision of people all around the globe. 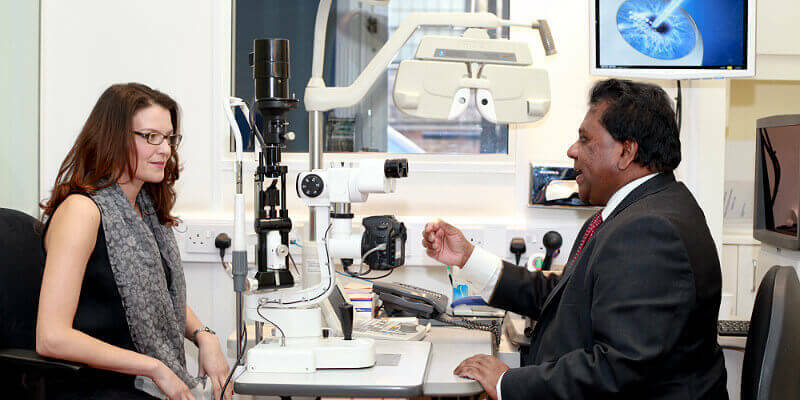 There are now over 3 million contact lenses wearers in the UK, and there is no doubt they are an important tool that can rectify vision problems. However, as the years progress so do technological advances, and nowadays other treatments may have a better safety profile than contact lenses. In this article, we discuss the complications that may occur with long-term contact lens use, and the alternatives you can choose. Although contact lenses correct poor eyesight, it has long been known that they also promote damage to the eyes. They cause corneal degeneration, which after decades of daily use may well increase the chances of corneal disease. In addition, it has been shown that lenses can compromise the eyes natural barrier to infection, making bacterial and fungal growth more likely. Unfortunately, the problems don’t stop there – extended wear contact lenses are associated with an increase in the incidence of corneal ulcers – which have the potential to lead to permanent blindness. They also interrupt the performance of the meibomian gland, which oils and lubricates the eye area. This dysfunction means that dry eye syndrome is a frequent side-effect of wearing contact lenses. When compared with spectacles, contact lenses may be more beauty-friendly, but many individuals struggle to tolerate their use. 51% of people who discontinued contact lens wear said that discomfort was the main problem, while 40% said their eyes became too dry when using them on a long-term basis. Patients also often struggle with the high level of maintenance that is required. Busy lives can lead to a cycle of poor lens hygiene, or even falling asleep while still wearing the lenses. These situations are both major risk factors for the development of the infection microbial keratitis. While considering the advantages and disadvantages of using contact lenses, it is essential to take a look at the alternative treatments that are available. Obviously, glasses remain one option, yet in our image-conscious society, people tend to search for another solution. Laser eye surgery is the most realistic alternative. It is a hassle-free option, and a one time procedure – there are no daily maintenance issues and no ongoing care is required. Over the past 20 years, laser has been proven to be a safe and effective procedure. 98.5% of patients are satisfied or very satisfied with the outcome of their surgery, with serious complication rates below 1% at the leading clinics. 99% of our own laser customers achieve 20/20 eyesight following surgery, and an increasing number of contact lens wearers are choosing it to permanently correct their visual issues. Our free consultation service will assess whether or not you are suitable for treatment.